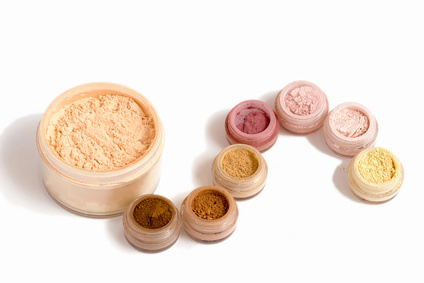 Shouldn't Mineral Makeup Products Have Preservatives? Sterling Minerals is a loose mineral makeup powder and contains inert ingredients of inorganic minerals. We then combine them with our organic botanical extracts, including cold pressed Jojoba Oil which is a natural anti-bacterial and anti-oxidant. This is also why it is included in our foundations and Evening Rose Veil. Jojoba will literally meld with the mineral makeup foundation and provides a nice protective barrier on the skin. Since our mineral makeup products are comprised of dry inert powders, bacteria simply cannot grow. Any ingredient without chemical reaction is considered "inert" and this includes botanical extracts. Introduction of our botanical extracts does not change the chemical inert structure of our minerals, but serves to improve skin healthy benefits to fragile skin. Our use of Jojoba will actually work to inhibit the growth of bacteria in and out of the pot, including those related to acne. Jojoba Oil sometimes is used to attempt to naturally preserve pressed powder products and prolong shelf life in other carrier or essential oils. This may work to protect other oils, but it isn't practical to use in pressed powder. Companies which choose to add preservatives is an unnecessary practice in terms of loose mineral powders. However, you'll find preservatives also in pressed powders and liquid mineral foundation due to the addition of moisture. The process for pressing the minerals into a hard compact requires other ingredients to accomplish this. These can be additional skin sensitizers and they actually are worthless in the pressed powder form. Pressed powders are not airtight and with opening and closing the lid daily, and continuous dipping of the brush, sponge or puff, the mineral makeup powders are easily contaminated. They are compromised with dirt, skin debris, facial medications, your moisturizer, and anything else they are exposed to. The preservatives will rapidly degrade since they are also subjected to light, air and any moisture content they absorb depending on where they are stored. 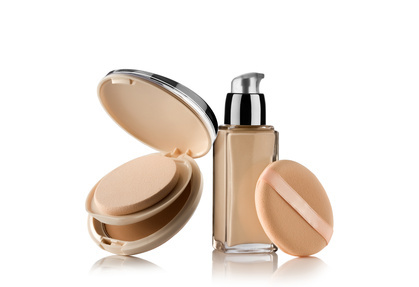 In reference to liquid mineral foundation, these rarely are an actual mineral makeup product. They typically are mostly comprised with silicone and / or organic extracts or oils, and the essential minerals like Titanium Dioxide and Zinc Oxide, are primarily used as colorants only and will not provide the sun protection one might be seeking. Preservatives are vital in this type of emulsion in order to prevent microbial growth. Besides, isn't the whole reason for using mineral makeup is for getting away from irritating synthetics, preservatives and other ingredients which have been shown to cause skin problems? Plus, unless you change out your brush or sponge with every dip to the pressed powder pot, this eventually becomes a filthy application of your makeup after only several uses. Sterling Minerals Loose Mineral Powders provide a clean application every time! Just keep your brushes clean by washing them at a minimum of twice per month. Additionally, when our mineral makeup products are kept clean and dry and are stored properly, they have indefinite shelf life without the need for preservatives until opened. Yet once opened, it is advisable to discard any unused portion after about a year since potency declines. After all you want to get the most enjoyment from the maximum benefit of all inherent ingedients used in our formulas.